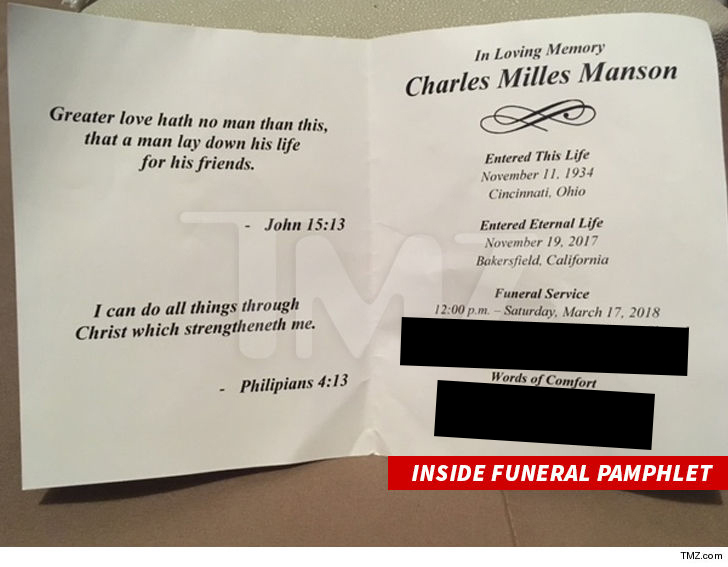 Charles Manson had his final hurrah Saturday during a memorial service that ended in fire. 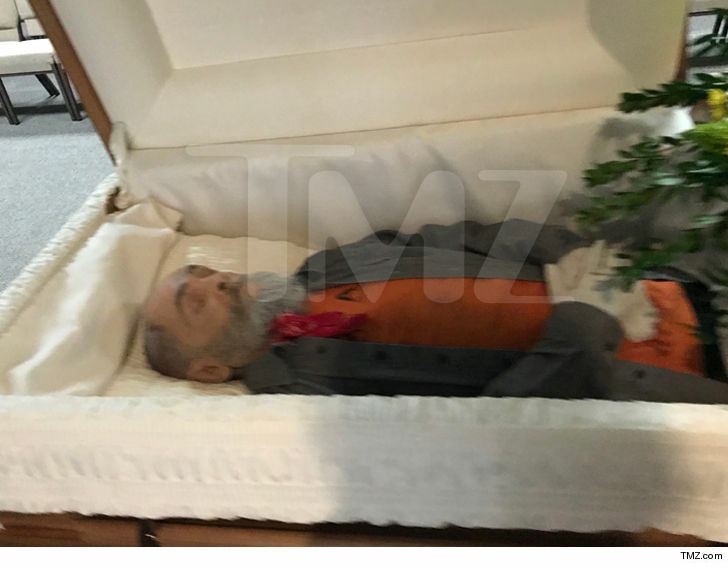 Manson's body was front and center at a service held in Porterville, CA. We're told the body was decomposing badly, and needed heavy makeup and gloves to cover the deterioration. He died 4 months ago but his body was put on ice until a judge decided who would take control of it. Approximately 30 people showed up at the funeral home. His grandson, Jason Freeman -- the man who won control over the body -- spoke at the service, as did a Manson follower. 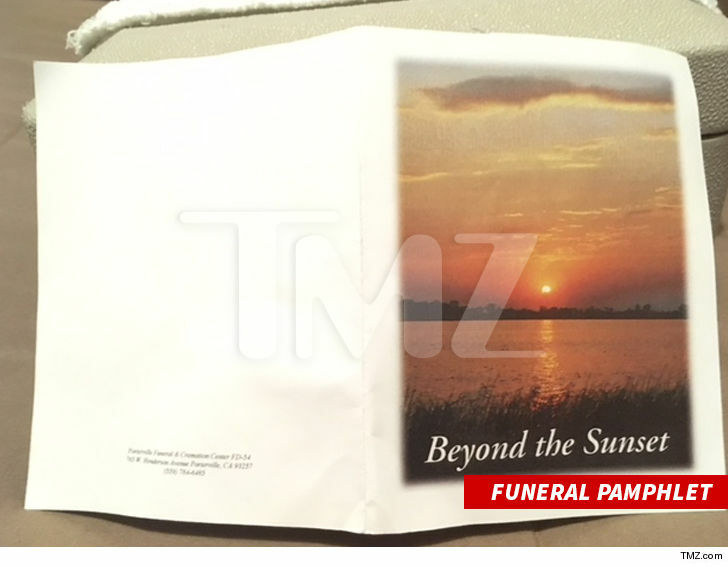 Manson's service didn't end with a burial. His body was cremated and his ashes were spread along a nearby creek bed in a forest. Apparently it was a windy day, because the ashes blew back on the guests. 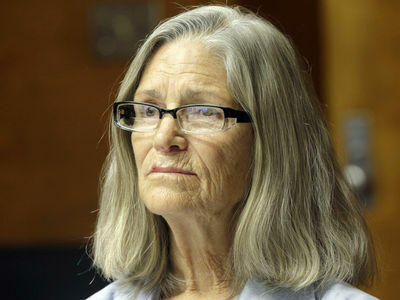 We're told the attendees included Manson's former fiancee, Afton Burton, and former Manson Family member Sandra Good. 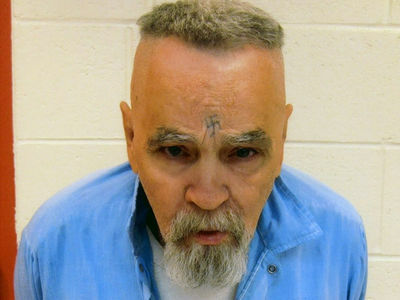 As TMZ first reported ... Manson -- the mastermind behind one of the most heinous murder sprees in American history -- died of natural causes back in November 2017. He was 83.